Are you one of the Windows 10 users who ran into error code 0xc0000185 while using your device ? Usually this error message appears after a reboot. If you carefully follow the instructions listed below, you will be able to fix error 0xc0000185 on Windows 10 in just a couple of minutes of your time. 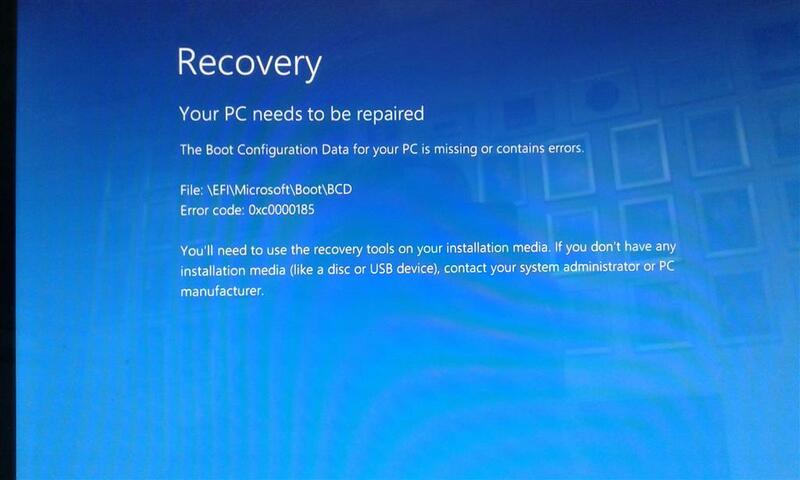 The error code 0xc0000185 usually comes along side the message: The boot configuration data for your PC is missing or contains errors. Unfortunately, if you unplug the USB devices from your Windows 10 machine and reboot your operating system you will still keep getting this error code. After your operating system started normally, please insert the Windows 10 Installation Media into the CD or DVD ROM. Reboot your operating system with your Installation Media inside the device. Now you should get to a black screen that says: “”Press any key to boot from CD or DVD” in which case you will need to press just any button on the keyboard to boot from your Installation Media. When you get to the next screen, you will need to set the correct time and keyboard type. Now select the “Repair your computer” button located in the lower left side of the screen. You should now have on your screen the “Choose an Option” window. In this window, select the “Troubleshoot” feature. Now, from the Troubleshoot menu, select the “Advanced Options” feature. Now in the “Advanced Options” window, selct the “Automatic Repair” feature. In this next window, select the operating system you are using. 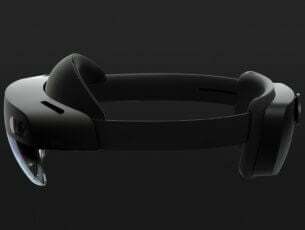 Windows 10 should start the scanning process and repair any errors that may be causing your system to display error code 0xc0000185. 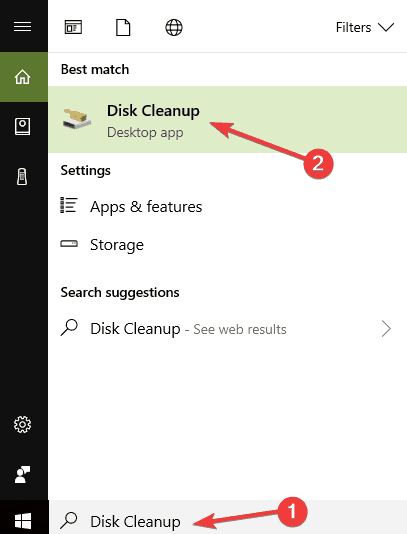 When the process has finished, take out the Windows 10 installation media disk and reboot your device normally. 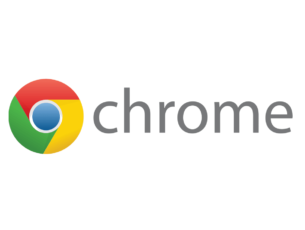 Check to see if the error code 0xc0000185 still appears in your system. Insert again your Windows 10 Installation Media disk and reboot your operating system. Select again the correct time and keyboard type as you did in the first method. In the “Choose an option” window , select the “Troubleshoot” option. Now, from the “Troubleshoot” menu, select the “Advanced options” feature. Now, type the following command: BOOTREC /REBUILDBCD and hit Enter again. 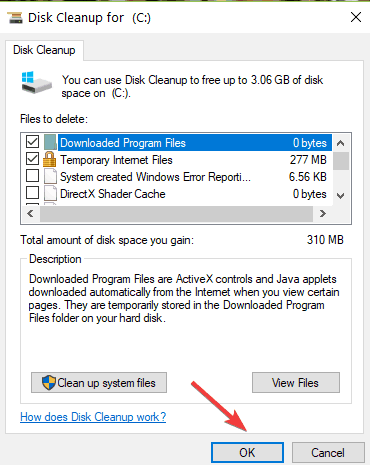 When the process has finished take out the Windows 10 Installation Media from the CD or DVD ROM. Note: It is recommended to make a backup copy of your important files and folders before you go through with the steps below. Insert your Windows 10 Installation Media once more into the device. When the device starts, you will be asked to press and key to boot from the installation media and at that point do press any key on the keyboard. In the window that appears, select again the correct time and keyboard type. Go to “Repair your Computer” > select “Troubleshoot”. After you successfully completed the System Restore process, reboot your operating system normally and check if you still get the error code 0xc0000185. Faulty peripherals may trigger this annoying error code. Unplug absolutely all the devices connected to your computer, including your mouse and keyboard if your machine’s configuration allows you to. Now, boot up your device and check if the issue persists. If your computer boots normally, this means that one of your peripherals failed to work properly and you need to replace it. In order to identify the culprit, connect your peripherals one by one and test if any issues occur. 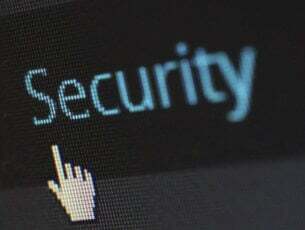 Your computer regularly stores temporary files and folders as you browse the Internet. These unnecessary files may trigger various issues, including error 0xc0000185. Hit OK and wait until the process completes. Speaking of faulty hardware, it is worth mentioning that your hard drive may also trigger error 0xc0000185. You can check your PC health by installing one of the software listed in this guide. If you still can’t get rid of this error code, try taking your computer to a professional. If your hard drive is faulty, you may need to replace it. In rare cases, this issue can be triggered by incompatible apps and programs. So, if error 0xc0000185 occured right after you installed new software on your machine, uninstall the respective software and check if the issue persists. 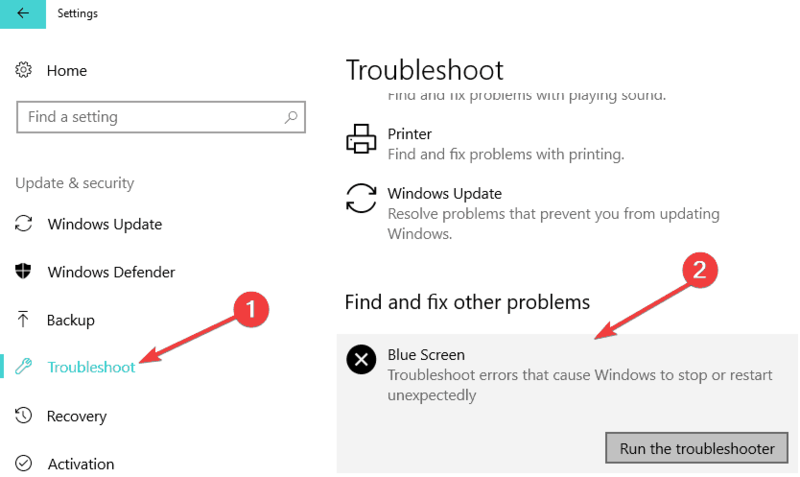 Another quick way to fix this Windows 10 error code 0xc0000185 is to run the built-in BSOD troubleshooter. To do this, go to Settings > Update & Security > Troubleshoot > go to Find and fix other problems > select and launch the BSOD troubleshooter. 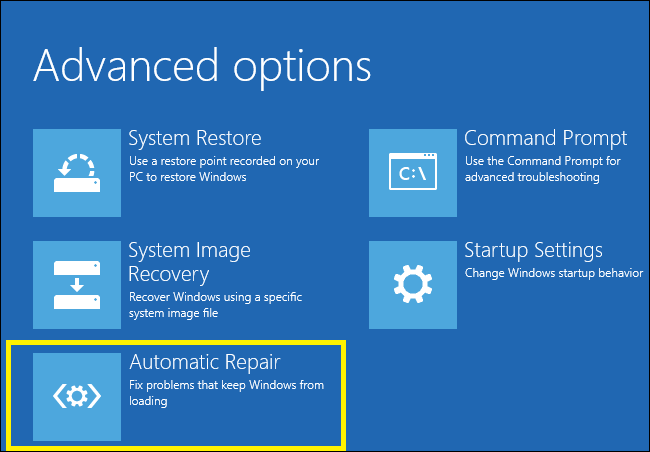 And this is how you can fix your error code 0xc0000185 on Windows 10. If you have additional questions related to this subject, drop us a line in the comments below. I or my colleagues will help you with additional troubleshooting steps.